Selling your home by owner? I can help! Real Estate buying, selling, refinancing, disputes, home defects, property disputes. I can assist you in ALL these areas, including foreclosure matters. Real Estate is a big investment and can be a big headache. Let me worry about the little details so you can think about moving. If you have been arrested, ticketed, or even under investigation by the police, you NEED TO SPEAK TO AN ATTORNEY FIRST!!!! Do not represent yourself in a Criminal investigation with out at least seeking counsel of an experienced attorney. I have over 20 years experience and have seen it all. All matters relating to Deceased Estates, Trusts, Wills, POA, Guardianship, Conservatorship, Deeds and more. Let my over 20 years of experience go to work for you. Has a relative died? Was the house in their name only? I can easily advise you on the course of action to take. Have you have been injured as a result of someone’s negligence, or have you been in a car or truck accident? You have rights that must be protected IMMEDIATELY. Michigan Injury Lawyer Timothy J. Klisz has over 20 years working only for injured victims. Are you being hounded by creditors? Lawsuits pending? Tons of debt or a past foreclosure? I can help you today! Small businesses too. Are you owed money? I represent dozens of Metro Detroit small businesses with their corporate and collections needs for nearly two decades. The Klisz Law Office, PLLC is a full service law firm for individuals & businesses in Metro Detroit. 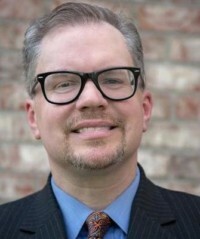 With over 20 yrs of experience representing clients both big & small, attorney Timothy J. Klisz has embraced a client-centered approach, which is committed to effectively & passionately representing each & every client.Conveniently located in western Wayne County, Michigan the Klisz Law Office, PLLC serves all of southeastern lower Michigan. Attorney Tim Klisz is able to meet with clients at the main office location in Livonia, Michigan, as well as in Troy, Bloomfield Hills, Southfield, and Novi, Michigan. Attorney Tim Klisz, is a full service attorney in Livonia serving Metro Detroit including Wayne, Oakland, Macomb and Washtenaw counties. Concentrating on representing individuals and small businesses, Mr. Klisz handles a wide general practice of legal matters including Car Accidents and other Personal Injuries, Criminal and Traffic Tickets, Probate and Estate Planning, Real Estate including For Sale By Owners and Collections, both defense and plaintiff. Always offering free phone advice on any area of law, please call Tim Klisz today to get started with your matter. Each client of Mr. Klisz is important and maintaining lifelong legal relationships is the hallmark of the firm. If you have any legal needs or questions, Tim Klisz is the first call you make in Metro Detroit. If you need a Livonia lawyer for car accidents, a Wayne County Probate attorney, an Oakland County Probate lawyer or advice on any of your legal concerns call Tim anytime at (313) 402-0853.